In our new partner project, located on the beautiful costa of Ecuador, you will be submersed in the relaxed and laid-back costal life of Canoa, an upcoming village where fishery has made room for tourism. In 2006 the U.S. Navy veteran James (Jimmy) Dean, together with a small group of parents, setup the bilingual elementary school Los Algarrobos. The goal is to provide the children of Canoa with better education and prepare them for the increasing number of tourists. Nowadays, the school has 93 students and employs local teachers. Nevertheless, the school is helped by volunteers and interns who can support classes and setup as well as assist with extracurricular activities. We send both volunteers as well as interns to Canoa. For interns we are keen to discuss and ensure that this project fits school and personal requirements. Enforce values and principles such as respect and collaboration. 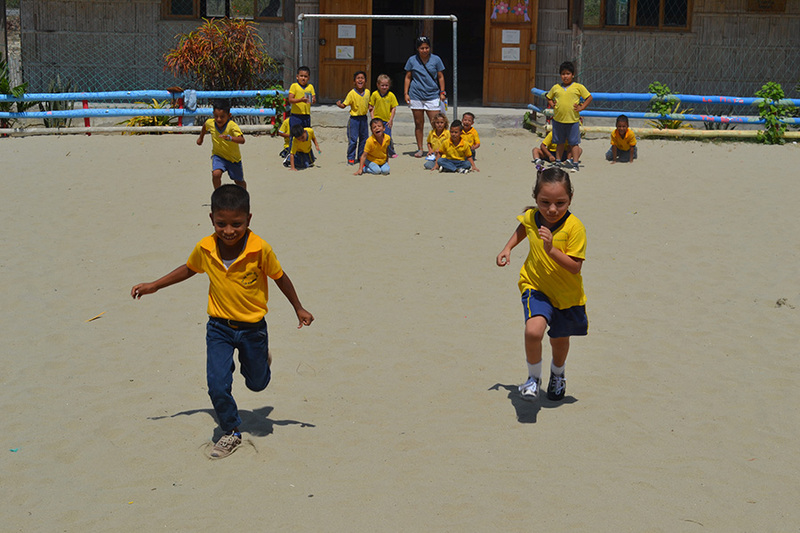 Read more about our new coast project or have a look at our other projects in Ecuador! New soccer shoes thanks to Wings of Support!